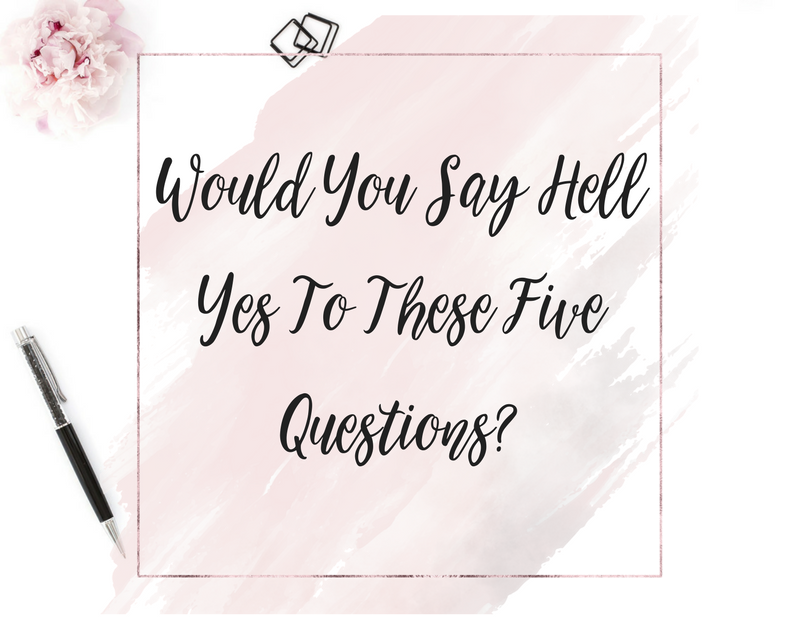 Decluttering | Would You Say Hell Yes To These Five Questions? Would You Say Hell Yes To These Five Questions? This week I loved… Decluttering! If you haven’t brought this art form and spiritual healing in to your life yet, it’s one I highly recommend. Rummaging around in the back of your cupboard to clear out old junk might not immediately inspire thoughts of artistic or spiritual growth, but trust me on this, don’t knock it until you’ve tried it. This week I have decluttered my ENTIRE home, and my car, and my office… I feel like I’ve lost half a stone (and ya’ll know how epic that feels especially after Christmas, ha!). If you haven’t yet heard of Marie Kondo, or her book, The Life-Changing Magic of Tidying, then go grab yourself a copy now. The basis of the book is this… when decluttering your life, approach every object with a simple yes or no question. Does this *thing* serve me / make me happy / contribute positively to my life? If the answer isn’t a HELL YES then it’s a hell no, and it’s got to go! I took my decluttering exercise to extreme levels and began to declutter people, behavioural patterns, self-sabotaging thoughts, and even business plans and models that I’ve been implementing for years, from my life and business. With ‘Blue Monday’ looming over us, I’m primed and ready to make sure that you don’t fall victim to the ‘most depressing day of the year’. I’m going to help you declutter the crap! I have some simple questions for you, and a very special solution…. 1. Do you want to make more money this year? 2. Do you want to break your bad habits that have been holding you back? 3. Are you ready to up-level your life and ambitions? 4. Are you tired of the sh*t and ready to own what you deserve? 5. Can you take one simple step to make all of the above come true for you? Declutter the negativity of years gone by from your life. Declutter the trap you’re stuck in and MOVE ON UP! I am here to serve, to support, to guide, to nurture, to applaud, to elevate, and to love! P.S. One more time, this is all you need.